The A-Spec brings a smattering of cosmetic touches but not much else. 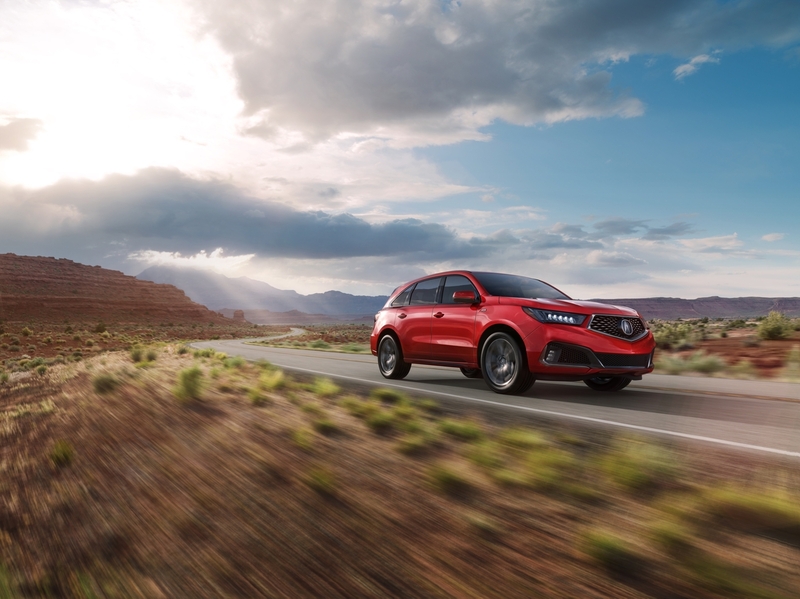 Acura unveiled a new A-Spec trim for its MDX crossover at the New York Auto Show on Wednesday, bringing to the table a bevy of dark trim pieces, smoked wheels, some race car-inspired interior touches, and... well, not much else. Consisting of strictly cosmetic upgrades, the 2019 MDX A-Spec looks like it was outfitted by a sullen teenager with an unhealthy obsession with Marilyn Manson. With black cladding, 20-inch Shark Grey wheels, a mean-looking new front fascia, and headlights, grille, and window frames finished in dark chrome, this people-hauling Acura goes hard with the automotive mascara. On the inside, the goth-trim MDX gets Alcantara-laden sport seats that can be had in red, contrast stitching that can be had in red, and special gauges lit up in, you guessed it, red. Sport pedals, carbon trim on the center console, and a thicker steering wheel with paddle shifters round out the A-Spec's racecar cockpit vibes. 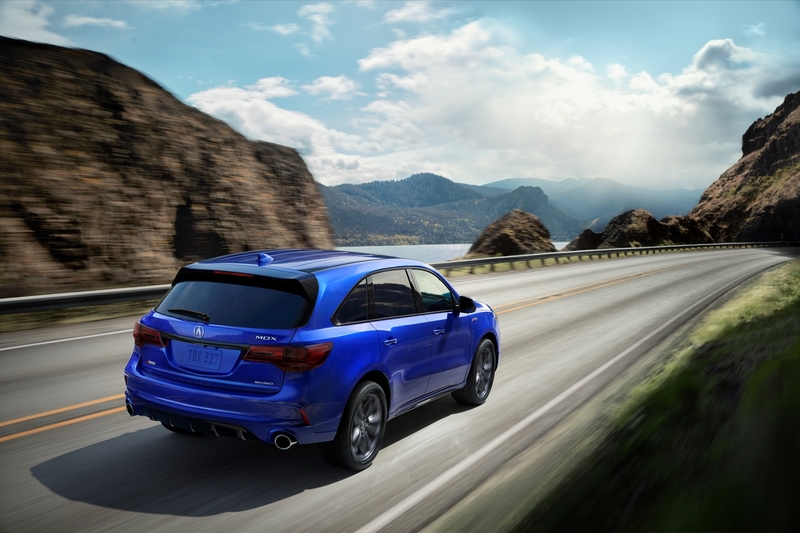 The 2019 Acura MDX A-Spec can only be had with the firm's torque vectoring Super Handling All-Wheel Drive. While we're a little disappointed at the A-Spec's lack of proper performance upgrades, we think a proper Type-S MDX with go-fast tech borrowed from the NSX would be quite the machine. Given how super hot luxury SUVs are all the rage these days, it's not even that bad of a business idea.